It can be hard to know which fish will get along being in a communal tank. Which fish species get along, and which ones don’t. Quite often (unfortunately) the pet store or aquarium staff also do not know. I was in a garden centre aquarium about a month ago to restock my tropical tank, and I was shocked to see some of the species that they had kept together. I was even more shocked, and saddened, to see the aggression within tanks due to the wrong species being kept together – dead fish, fin-less/ half-eaten fish, bullying within the tank… all sorts! It is not fair on the animals in the tanks – they have nowhere to go, so it is the job of those caring for them to ensure they have optimum environments and tank mates. This starts by knowing your fish species and how to house them, and who with. Tetra, platy, guppy, danio, corydora, swordtail, catfish, loach, molly, and goldfish species are all good communal fish (within their water types) – in my experience. Chichlids can be kept with other chichlids – but do your research. You may keep the same species chichlids together of different sizes, or different species of similar sizes, or get a communal type (same species, varying sizes). Barb species are communal within species. For instance you could keep several rosy barbs together, but not a tiger barb an a rosy barb together. Barbs ought to be kept alone within their types, they are not good communal fish – not good with other fish species. Fighter fish on the other hand should be kept alone, except for breeding (but separated after mating has taken place). This species is very territorial and aggressive towards other fish – definitely a solitary species. The size, and the amount of the same species in a tank can cause issues. For instance, you can keep two tangs of the same species but they must be different sizes to avoid conflict/ aggression; or two tangs of the same size but they must be different types. Ensure you research into fish species before acquiring them – some species may appear to be okay together or just make your tank look aesthetically pleasing together, but may not actually get on. An overstocked tank will likely cause aggression. Fish with lovely, long, flowing fins may survive happily with reduced numbers within their tank; but end up with chewed (off) fins by other fish when there is overcrowding. Choose your communal tank species carefully. 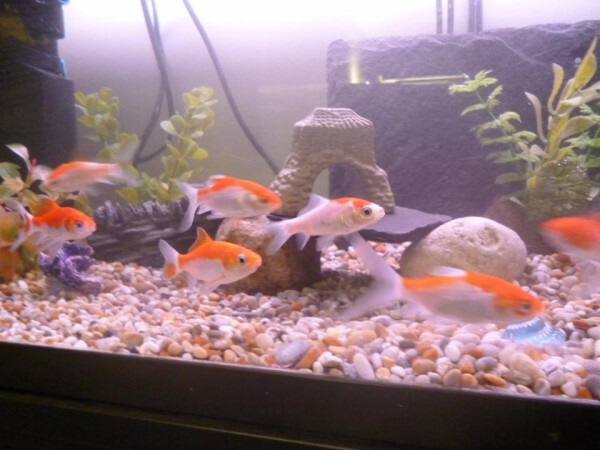 Do thorough research into every fish species, and how well your intended species will get along in a tank – taking into consideration tank size, and amount and size of fish wanted.